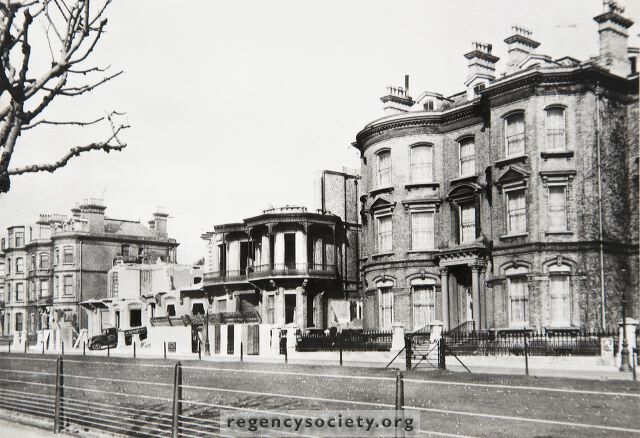 The large mansion properties, 3 - 5, Grand Avenue, in course of demolition in late 1938. The present large block of flats, opened during 1939 replaced them. At this period the grass was enclosed, being reserved for the sole use of the residents.